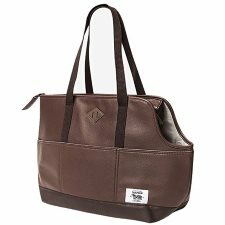 Dog carrier bags and strollers are the perfect way to take your beloved pooch with you wherever you go. It's both a stylish and convenient way of keeping her safe and under control while traveling around town, on vacation or a business trip, when being on a leash just won't do. But its not just a fashion statement. These bags can be used when riding in the car, traveling on a plane, going to the vets, going for a bike ride, a jog, or even as a crate. We certainly do spoil our pets, but really, aren't they are worth it. 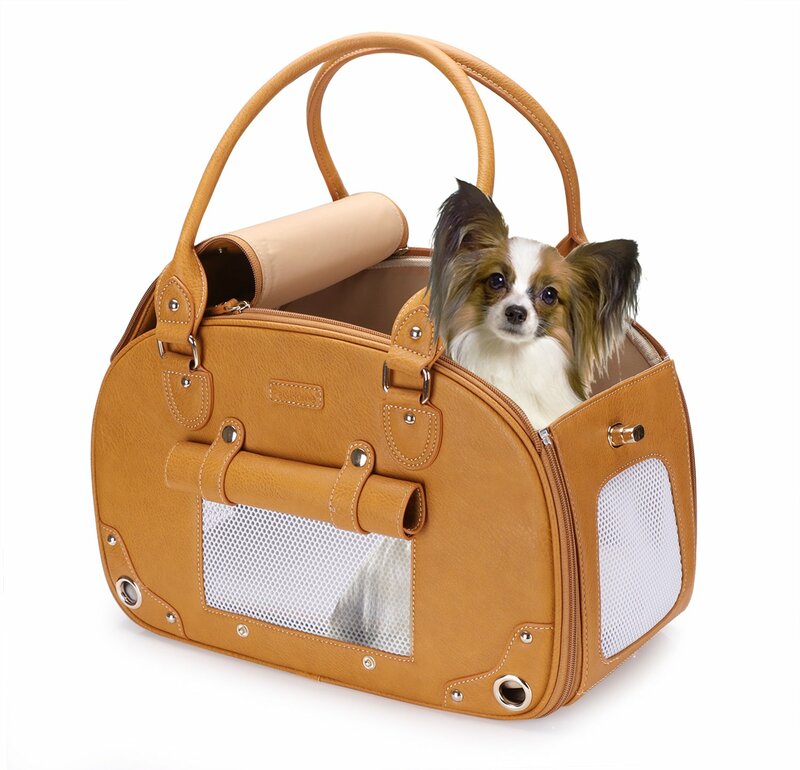 Nothing says luxury like a dog carrier bag. 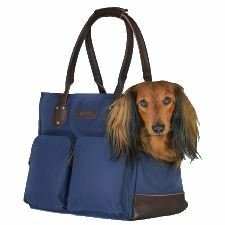 The designer bags are made to look like handbags, but instead it carries our pampered pooches in style. 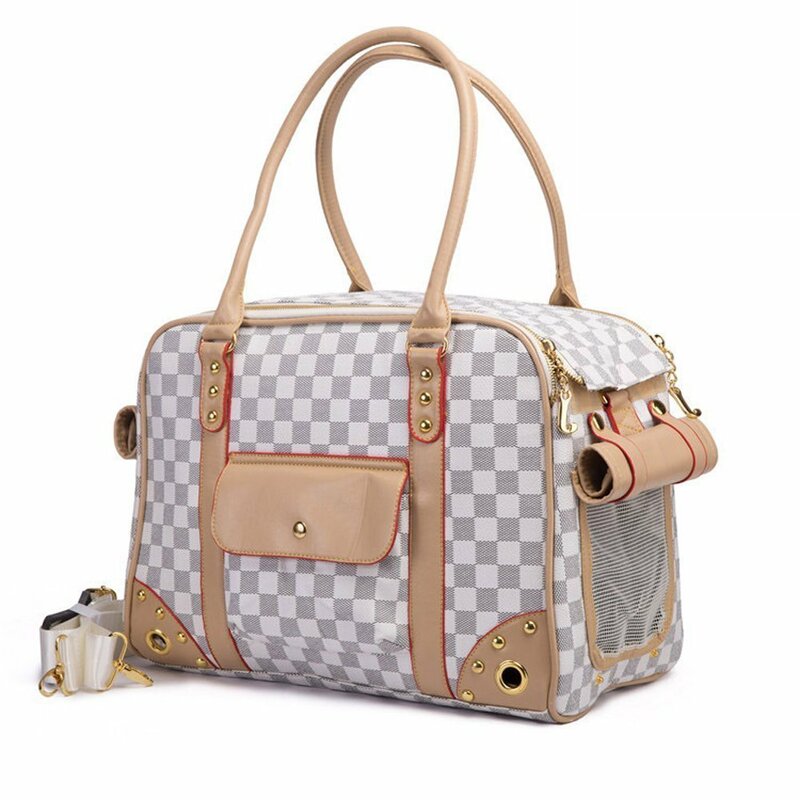 This gorgeous carrier is one of my favorite bags to carry my little fur baby around with me. Not only because it is such a cute bag, but it's very well made and wasn't all that expensive. 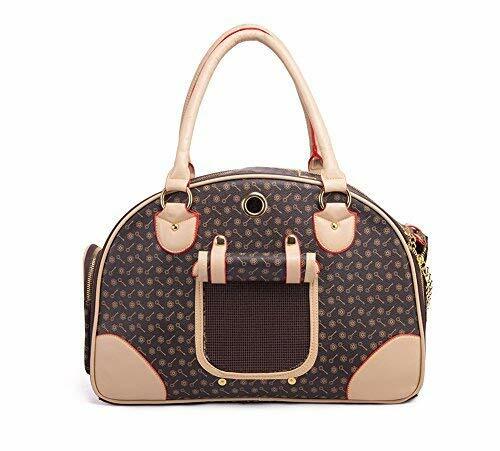 At about 10 pounds, my Shih Tzu fits comfortably inside and really doesn't mind being in it, plus it's very easy for me to carry around and looks like a regular handbag. But if this isn't your style, check out some other stylish bags below. For times when you are traveling long distances, it is easier to use a carrier bag with wheels and a handle to cart them around. 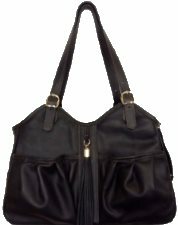 These bags also make it easier to carry her, when you have other luggage to haul. If you are traveling by plane, train or bus, find out if they accept pets and whether you can bring her on board with you. Most airlines want your pet to be able to fit under the seat, ask them what dimensions and get an airline acceptable carrier for your pets traveling adventure. Also keep in mind, that if you have a larger pet, he will most likely have to go in the cargo area, so know the carry on weight limit, and also that he has all his vaccinations which the airline will require. Another method of traveling is with a stroller. A carrier stroller came in handy when our Shih Tzu, Rocky, wasn't feeling well. We were able to continue to walk Max, and not leave Rocky at home, instead he got to enjoy a leisurely walk, and fresh air in comfort. And if you want to bring Fido with you for company when you're jogging, these strollers are the perfect solution. Have you ever tried to go for a bike ride and hold your dogs leash at the same time. That can be pretty tricky to do, especially if he sees a squirrel and decides he wants to chase it. Or if another bike rider rides by, and he gets freaked out and winds up tangled up in your wheels....scary thought. A bike trailer or basket carrier attachment, is a great and safe way to bring him for the ride with you. 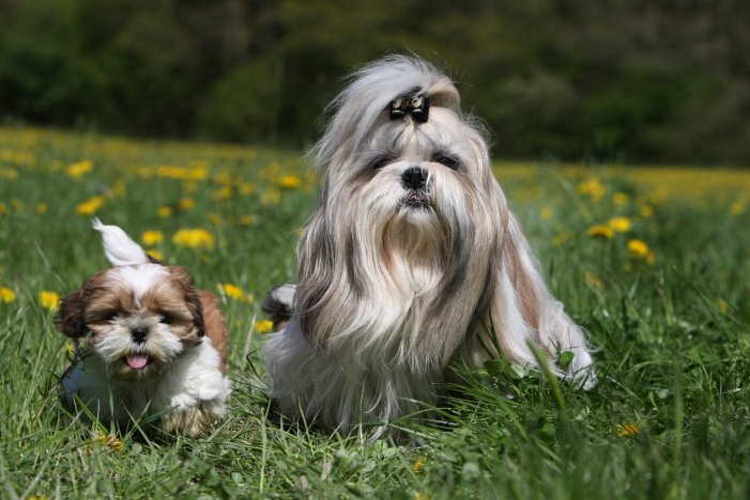 Pets come in all sizes so be sure to measure your fur-baby and get the right size for him or her, when deciding which carrier bag or stroller will work best for them.